RetiredSwarovski.com has completed mid-year updates for Swarovski crystal figurine 2011 planned retirements. RetiredSwarovski.com has printable retirement fact sheets for many Swarovski crystal product lines within Swarovski retirements: Chinese Zodiacs, Crystal Moments, Crystal Myriad, Disney, Home Accessories, Lovlots, Paradise, Silver Crystal, and Soulmates. These free and easy-to-use PDFs provide valuable information on Swarovski crystal figurines, conveniently organized by product line and year of retirement. RetiredSwarovski.com is the prevailing web site for Swarovski crystal figurine retirements. It is sponsored by Warner’s Blue Ribbon Books on Swarovski, Crystal Exchange America, and The Crystal Wizard, all experts when it comes to details and discussions about retired Swarovski. When RetiredSwarovski.com first launched fact sheets for some of the product lines in June 2010, the response from Swarovski crystal fanatics and novice collectors was phenomenal ….they wanted fact sheets all the Swarovski crystal product lines. As of 2011, RetiredSwarovski.com includes retirement information for nine of the product lines / categories within the Swarovski crystal offerings. The following Swarovski product lines have printable fact sheets organized by year of retirement: Swarovski Silver Crystal, Swarovski Crystal Moments, Swarovski Home Accessories, and Swarovski Paradise. The following Swarovski product lines have printable fact sheets organized by product line (instead of by year): Swarovski Chinese Zodiacs, Crystal Myriad, Swarovski Disney, Swarovski Lovlots, and Swarovski Soulmates. The web site also has also cross-referenced retirements for Swarovski SCS Club Figurines and Swarovski Ornaments. All these useful pdf fact sheets contain miniature photos of the Swarovski figurines, name, part number, system number, and Swarovski designer, and years in production. In addition to the retirement information, the web site also features pages on cleaning Swarovski crystal figurines, Swarovski designers, and Swarovski news. The site sponsors have special interest in Swarovski as they themselves are Swarovski crystal collectors and business owners. With that, users can learn more about the RetiredSwarovski.com sponsors’ products and services on the site. 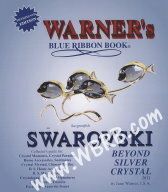 Warner’s Blue Ribbon Books on Swarovski are Swarovski crystal catalogues, available with color pictures or black and white pictures, and contain a lot of important information about Swarovski figurines that is essential to crystal collection management and properly valuing them for insurance purposes. Warner’s Blue Ribbon Books has an extremely reliable record of annually publishing their books for the past 19 years. They can be found at WBRB.com. 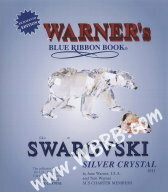 For a minimal fee, the Warner’s Online Book site, WBRBOnline.com, offers an annual subscription service that allows subscribers to run queries on Swarovski crystal items, using the name, part number, or system number, to retrieve beneficial facts on the crystal figurines, including designer, dimensions, and Swarovski values (suggested insurance value), photos, and more. 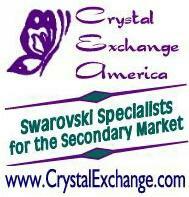 Crystal Exchange America, a retired Swarovski dealer, specializes in discontinued and retired Swarovski crystal. 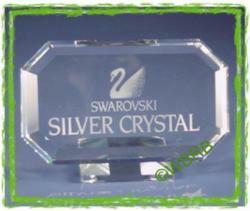 Swarovski crystal aficionados who wish to buy or sell Swarovski can contact Crystal Exchange America at CrystalExchange.com. Crystal Exchange America has over 15 years of experience and assists collectors growing Swarovski collections, maintaining Swarovski collectors, and liquidating partial or entire Swarovski crystal collections. The Crystal Wizard is for those Swarovski collectors who may need repair or restoration services for a damaged or broken Swarovski crystal figurines. These Swarovski restoration professionals can be found at TCWizard.com. RetiredSwarovski.com is an independent web site about retired Swarovski crystal figurines. The company Swarovski is not affiliated with the RetiredSwarovski.com, or any of the sponsors of the site. Furthermore, Swarovski does not produce content for the RetiredSwarovski.com.